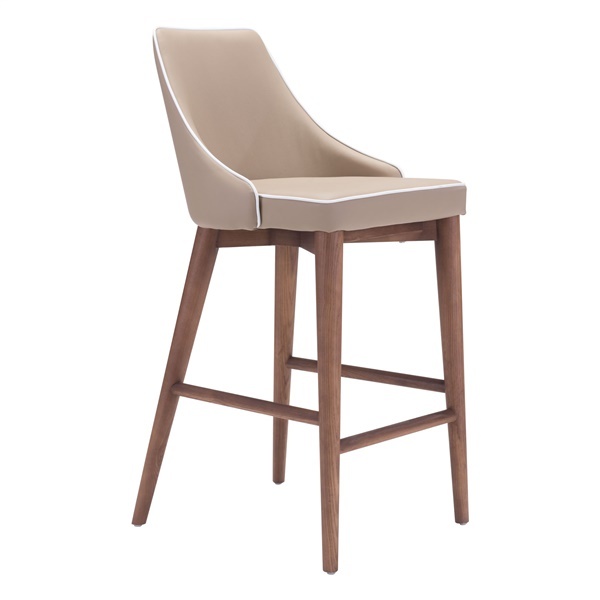 Add simple style to your home with the Moor Counter Chair from Zuo Modern. This counter height stool is durably constructed from high quality solid wood and powder coated metal. Styled for traditional or contemporary settings with its elegant leatherette upholstery in your choice of two colors, this bar stool features a generously sized seat, comfortable cushioning and a sturdy base. Stretcher bars and a footrest on the legs add style and function to your bar area or dining space. For a uniform look, combine the Moor Counter Chair from Zuo Modern with other items in the comfy Moor collection. If these aren't the right fit for my counter can I return them?